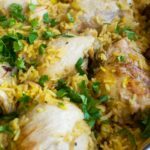 Chicken and rice is a staple meal all over the world, but strip it back to the bare essentials and it can still be super tasty.You need only 6 main ingredients and 30 minutes to make this most simple of stove top chicken and rice recipes! I felt a bit sceptical when first making this recipe. We’re not big rice eaters. Mr. Scrummy usually declares any rice dish we have ‘too gloopy and boring’. 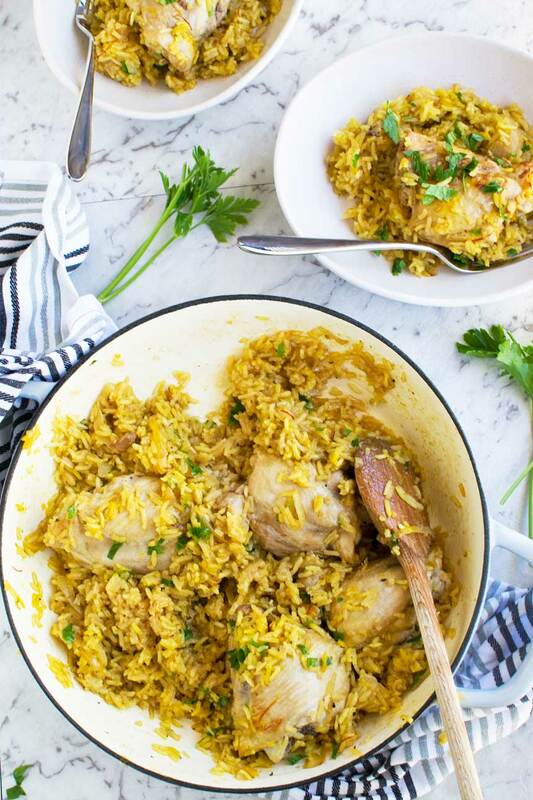 And there are so few ingredients in this simple stovetop chicken and rice. How does it have enough flavour? 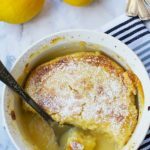 But the reviews I read of the old New York Times recipe I found were excellent so I thought I’d make something similar – and have enough flavour it definitely did! 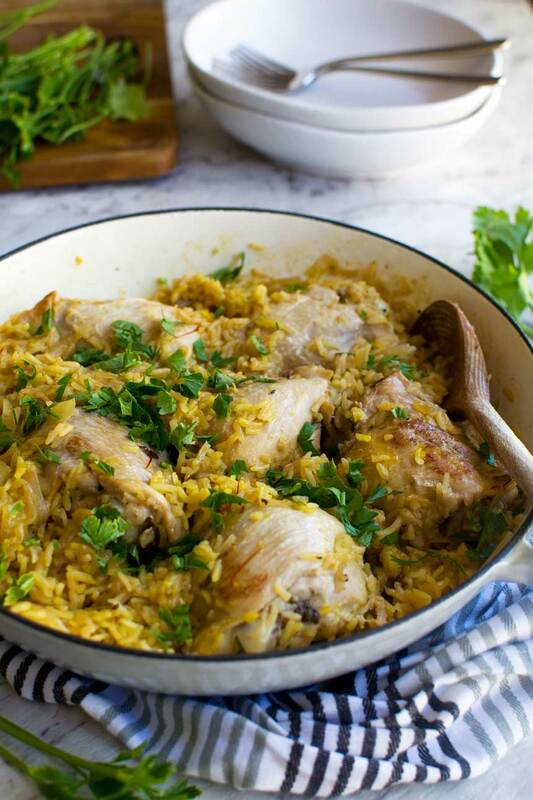 Most of us crave simple meals after the indulgence of the holidays, and this stove top chicken and rice couldn’t really be simpler. 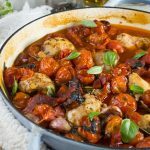 So with just 6 main ingredients (white wine is optional), how DOES this stove top chicken and rice have enough flavour? Use bone in chicken pieces. I use bone in skin off thighs which you can buy from the supermarket here in Australia. If you can’t find those in a supermarket where you live, try a butcher! You can use water if you like as the cooking liquid as the chicken will release its own broth as it cooks. I like to use a mixture of broth (stock), white wine and water, however, for maximum yummy flavour. There also happens to be a secret ingredient in this, which is… saffron! Don’t worry, you don’t have to remortgage your house. Although good saffron is expensive, you only need to add a pinch of threads to get that rich, unique flavour and pretty yellow colour. 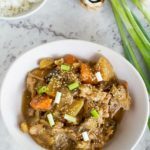 I find this dish takes 20 to 30 minutes to cook, depending on what kind of rice you choose. The last time I made it I used jasmine rice and I cooked it for 25 minutes, until most of the cooking liquid was absorbed. Don’t worry if your rice is ready but it still looks like there’s a bit of cooking liquid in the pot. I find if you give it a good stir and leave it for 5 to 10 minutes while you get your plates and veggies or salad ready, a little more liquid gets absorbed and it’s just right. Serve onto big plates or dishes, add a sprinkle of fresh parsley and it looks like a meal fit for kings and queens! 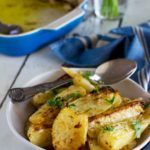 This is a fabulous staple weeknight dinner recipe to have up your sleeve. Serve it with veggies in the winter and salad and bread on warmer evenings. It’s really good as it is, but it’s also easy to adapt. Add chorizo, mushrooms, herbs, or whatever you like for extra flavour. I don’t recommend skipping the saffron, but if you really don’t like it / can’t find it / don’t want to buy any add some turmeric, curry powder or paprika instead and see how you go. The recipe makes 6 normal servings (4 if you’re super hungry) so you can either feed a (tiny) crowd or reheat the leftovers the next day. I must admit the leftovers aren’t as deliciously moist as when cooked fresh, but they’re still very tasty. Everyone needs a quick and easy chicken and rice recipe in their regular repertoire, and this is mine. 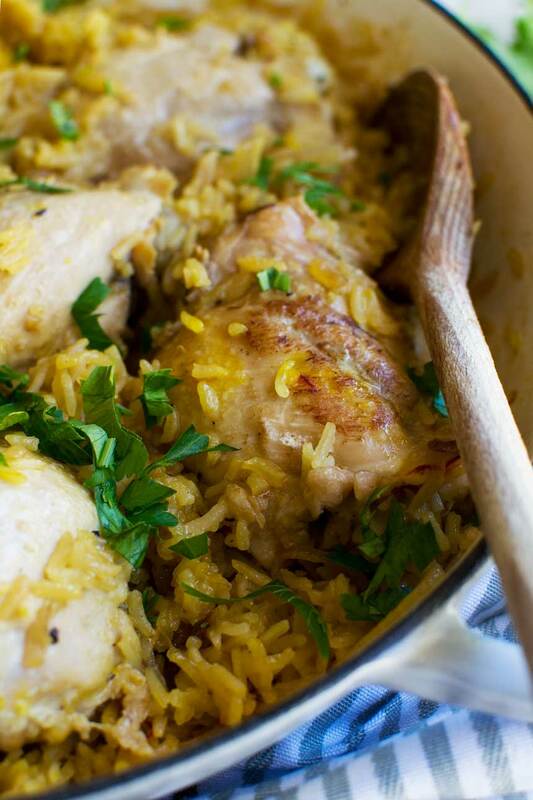 Everyone needs the simplest of simple chicken and rice recipes in their weekly meal rotation! 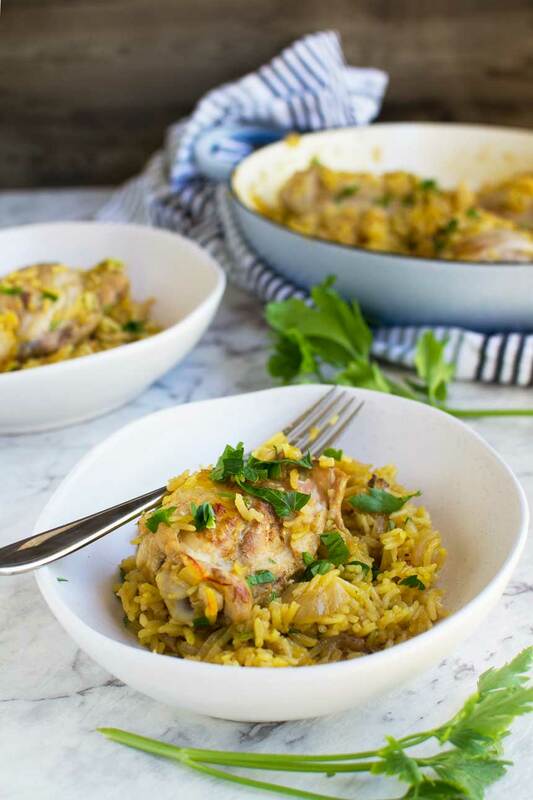 This is the simplest stove top chicken and rice recipe you can imagine, but it still has LOTS of flavour, thanks to a few simple tricks and a secret ingredient… saffron! Ready in just 30 minutes! Heat the oil in a large pan with a lid (I used a cast iron pan like the one above) and cook the onion for a few minutes until softened. Add the chicken and brown for a couple of minutes on each side (optional). Remove the chicken from the pan to a plate (if you decided to brown it), then add the rice to the onions left in the pan. Stir to moisten the grains of rice. Nestle the chicken back in with the rice / onions, then grind over plenty of salt and pepper. Pour the chicken broth / stock, white wine (if using) and water over the chicken and rice. Sprinkle in the saffron, then put the lid on the pot and simmer for 20 to 30 minutes, until the rice is cooked and most of the cooking liquid has been absorbed. Season again to taste and serve sprinkled with the fresh parsley. Recipe based on this simple chicken and rice recipe in the New York Times. It's best to use skin off bone in thighs for this recipe. You can buy them like that in supermarkets in Australia, but if you can't find them where you live go to a butcher and ask them to take the skin off for you. 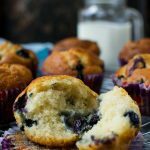 This recipe is highly adaptable. Skip the wine if you like (replace with more broth or water) and add other flavours with the onions e.g. 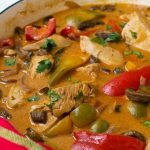 chorizo slices, Italian herbs, red or green bell peppers, mushrooms, curry powder, paprika (skip the saffron if you choose curry powder though). 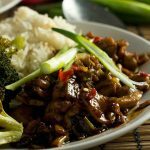 I usually cook my chicken and rice for about 25 minutes, but the cooking time will depend on the rice, stovetop and pan you use. Just have the confidence to cook until the rice tastes done and most of the cooking liquid has been absorbed. 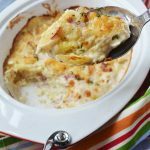 This is such a great and easy to make dish! Love chicken and rice! Can’t wait to try this, love that you added saffron to it! Thanks so much, Mira, and for the 5 star rating! Saffron can be replaced with tumeric too.It’s delicious! Thanks so much for the tip, Judy. I’ll try it with turmeric next time I run out of saffron! This really is good, healthy comfort food and I love your tips for maximum flavor. Thanks Janette! Happy New Year! You are so right about craving simple meals after the indulgence of the holidays! This chicken and rice looks just perfect. Putting it on next week’s menu! Hope you enjoy it, Marissa! 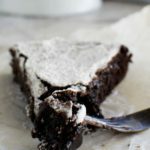 I love everything about this recipe, Helen! 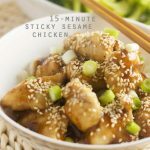 I have all the ingredients on hand (bone in chicken breasts instead of thighs) and quick meals are always in favor! Hi Liz – Happy New Year! So glad you like the look of this. It’s a good staple to make with things you usually have in anyway. This is just what I’m looking for, and I’m definitely making it. It going to turn out perfect. Many thanks for the recipe. You’re welcome! Really hope you enjoy it! I had the issue of the chicken not being done. Did I do something wrong? Hi Jessica! No I doubt you did anything wrong. It’s just that this meal can take different amounts of time to cook depending on your cooker/pan used/thickness of chicken etc. Just make sure the lid is on and leave it for a few more minutes until done. I find it takes 25 minutes to cook on my stove, but you just have to keep checking until everything is done. I hope you try it again!